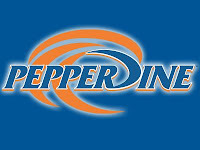 Pepperdine is dropping their women's swimming and diving and men's track teams at the conclusion of the academic year, continuing a wave of bad news related to athletic budgets across the nation. If you are interested in the human interest aspect of these announcements, listen to National Public Radio's excellent eight minute interview with three individuals who were affected by decisions to cut athletic teams. The interview includes Northern Iowa Athletic Director Troy Dannen discussing the decision to drop baseball, Vermont Baseball Coach Bill Currier, whose team was dropped last month, and Western Washington football student athlete Caleb Jessup who was a member of their now defunct football program. All three announcements were previously covered by ultimatesportsinsider.com. North Carolina - Instituted a hiring freeze and is considering reducing or eliminating overtime pay. Eliminating administrative trips to conferences and conventions. Limiting the number of hotel rooms for team travel. Chartering smaller planes for team travel. North Carolina State - Traveled by bus to a basketball game at Virginia Tech rather than using charter aircraft. Football may do the same this fall. Coaches are sharing rooms when traveling and are only permitted to attend one convention per year. Atlantic Coast Conference - May introduce NCAA legislation that would reduce coaching staffs. Buffalo - University at Buffalo Foundation Trustee Stephen Walsh was charged in a $554 million investment fraud. Although no University resources were invested in Walsh's firm, the Athletic Director's suite at Buffalo bears Walsh's name from a $250,000 gift made in 2001. Walsh has allegedly stolen significant higher education funds including $49 from Carnegie Mellon University, $65 million from the University of Pittsburgh, and $339 million from the Iowa Public Employee's Retirement System. Check back regularly for more updates or subscribe to http://www.ultimatesportsinsider.com/ for information directly to your e-mail.